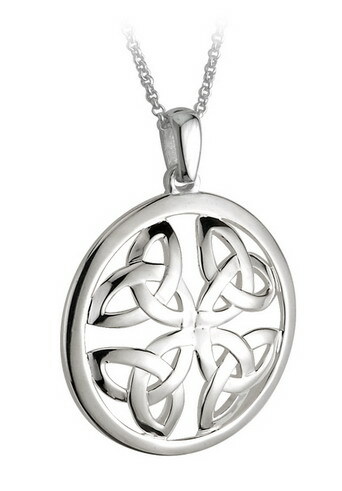 S44135 - Large celtic knot pendant,This stunning silver pendant shows 4 trinity knots. This stunning silver pendant shows 4 trinity knots. This pendant shows 4 trinity knots. NEW History Of Ireland Sterling Silver Pendant S4661,the pendant also comes with a little guide explaining the events.